Exercising isn’t essential only for humans. Get your puppy potato off that couch and start getting into shape together. Engaging in exercise activities with your dog will not only help both of you to stay healthy, it will also create a stronger bond between you. Regular exercise also resolves boredom and other canine and human behavior issues that can arise from long periods of confinement. If you live in an apartment or a place where your pet cannot run around freely, it is all the more important to ensure that your dog gets a proper amount of exercise every day. This lightweight, flexible plastic ball launcher will help you throw a ball faster and further for your pet to fetch. The long handle is convient for both slinging the ball and picking up the ball. You can fit tennis-balls into this launcher. How Much Exercise Is Sufficient For Your Dog? What Kind of Exercises Are Good For Dogs? , regular exercise is essential. Daily exercise prevents obesity, tones the muscles, improves the metabolic system functionality, and staves off a host of health problems from arthritis to heart disease. Your dog stays healthy and will require less frequent visits to the vet’s clinic. As exercising your dog involves getting your own body moving, you too will benefit healthwise. Exercising with your dog will build a stronger mutual bond. You and your dog will be mentally engaged and better socialized by going out and interacting on a regular basis with the wider world. love routines as these give them something to look forward to. Much Exercise Is Sufficient For Your Dog? The amount and type of daily exercise depend on the breed of your dog, their physical condition, and their age. For puppies and senior dogs, ten to twenty minutes of comparatively non-strenuous exercise like walking or playing fetch can be sufficient. If your pet has any health issues, check with your vet to see what kind of activities will be suitable for them. Other dogs may do well with running, hiking, swimming, and so on. It is best to start with one activity, see how your dog reacts and what their preferences are, and take it from there. If you are going to do a strenuous exercise, warm up with walk first and follow the activity with another leisurely walk to cool down. Kind of Exercises Are Good For Dogs? Try to find an activity that both you and your dog enjoy doing. It is important to have fun together. Keep your exercise sessions short if your dog has pre-existing health issues or if your dog is elderly. Don’t force your dog into activities that make them uncomfortable or which cause them stress. That will defeat the whole purpose of exercising. Also, take into account your dog’s individual likes and dislikes. Just because the neighbor’s dog enjoys a certain activity does not mean that your dog will like it as well. The best exercises are the ones that you don’t have to force your dog to do. Walking and running, for instance, are natural activities for dogs, and most dogs and pet parents will enjoy these and benefit from them. Be sure not to overdo things though. If you or your pet tire or show strain, stop and take a rest. Don’t pressure yourselves. Exercise should be something you both look forward to, not something you cringe about and try to avoid. area, a biodegradable bag to pick up your dog’s poop. treadmills, which can be useful if you are unable to go outdoors. Dogs love exploring new terrains and may enjoy accompanying you on your outdoor treks. Keep your dog on a leash if there are wild animals around. For hikes in a difficult terrain, make sure your pet is equipped with canine shoes, have plenty of drinking water and food at hand, and take frequent rests. Check your dog afterward for ticks. Swimming is an enjoyable activity that is useful for strengthening your joints and your lungs and improving your endurance ability. Not all dogs like going into the water, however, so, if your pet doesn’t, don’t force the issue. There are plenty of other activities that you can do together. Many dogs love chasing and leaping after a ball or a frisbee and can keep at it for an extended period. Your throwing arm will get a good workout, but you will have to devise a few other exercise routines for yourself while your dog is off running. This type of exercise is suitable if you have a large backyard, or if your dog has a perfect recall and can be trusted off-leash in public parks. Practice dancing together. Musical freestyle workouts are a fun way of both training your dog to do tricks while getting a nice workout yourself. Along with reducing stress, dancing is excellent for developing stamina and good muscle tone. 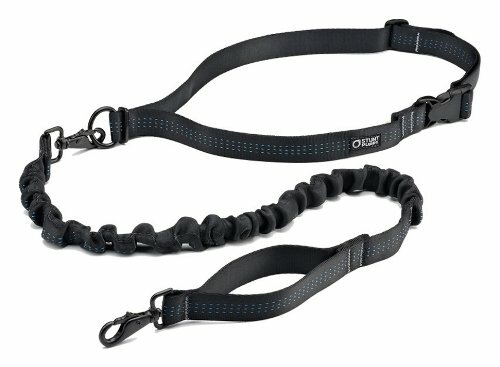 A lightweight leash with a stretchable length and an adjustable waist belt so that you can have a comfortable, hands-free run with your pet. It may not be appropriate though if you have a large dog that has the tendency to lunge at passersby and other animals. Adjustable No! 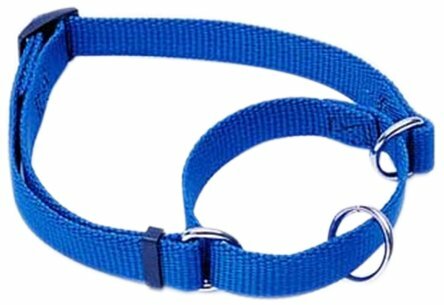 Slip Martingale Collar, 3/4"
This is a useful collar to have if your dog has the tendency to yank at the leash while out on walks. 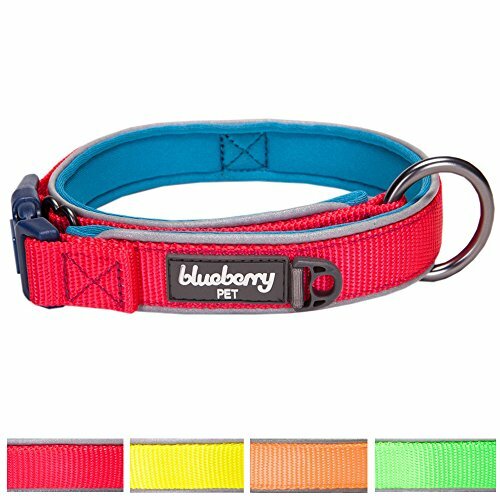 The collar will tighten, without choking your pet, if pulled at, and will discourage your dog from lunging about while exercising. This comfortable-looking padded collar is made of reflective materials that can help you keep your pet in your sight while out walking in dark areas at night. 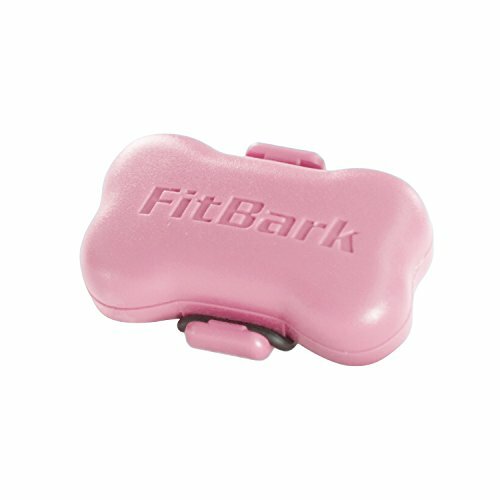 It is useful for preventing accidents and keeping your dog safe. 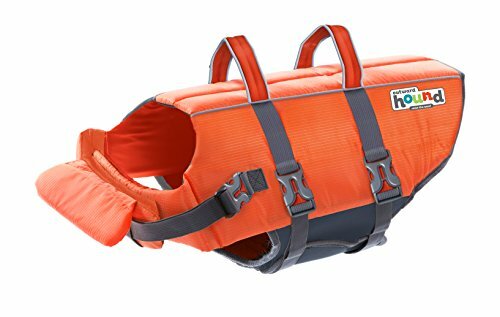 If you are taking your pet out on the water, it might be best to equip them with a life jacket to prevent any accidents. This durable jacket has handles to help you grab your dog in case of an emergency. 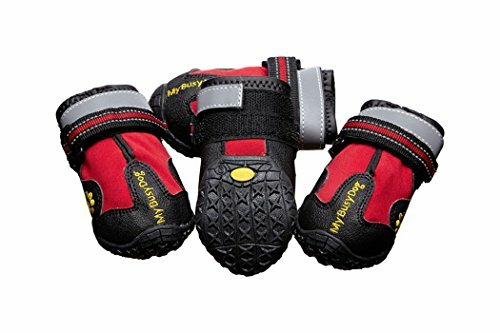 These anti-slip, water-resistant shoes will protect your dog's paws while hiking or running over a rough terrain, over ice, on sand, or on a hot pavement. You can find the size that fits your pet's paws, and they are easy to put on and remove. This is a helpful device to have if you want to keep track of your dog's activity level. It is small enough to be clipped to your pet's collar, and is waterproof. It has a reasonable battery life, and you can sync it with your smartphone. 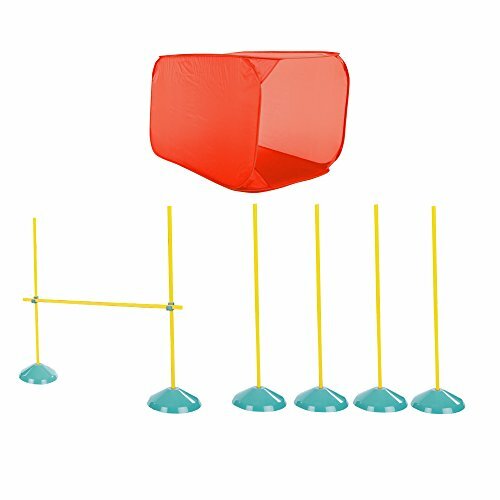 The agility starter kit comes with a high jump, a tunnel, and weave poles, and is good for beginning training. You can set it up indoors, if you have the space, and train your pet to go through their paces. 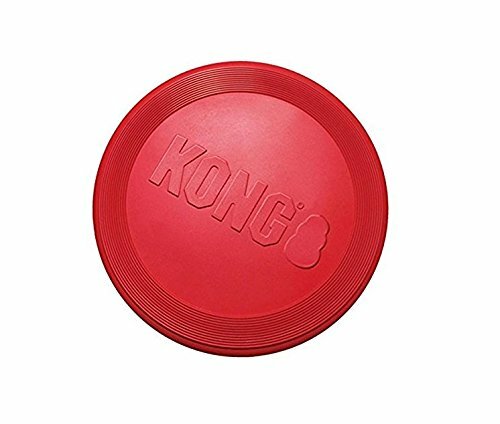 Your dog will most likely enjoy playing fetch with this durable rubber flying disc. The rubber is soft enough for your pet to easily catch, but may get damaged if your dog insists on using it as chew toy. You can get the disc in small and large sizes. 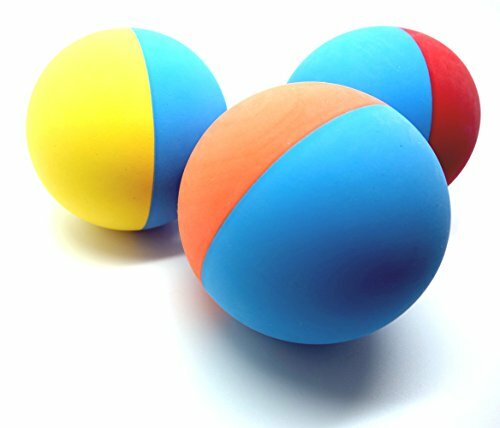 You can use these colorful rubber balls for a regular game of throw and fetch, or use them in a dog ball launcher. The BPA-free rubber is safe for your pet, and the balls are long-lasting and easy to clean. can harm your dog’s paws. not exercise directly after a meal. overdo exercise to the point that it is harmful to both of you. dehydration by regular water sips.